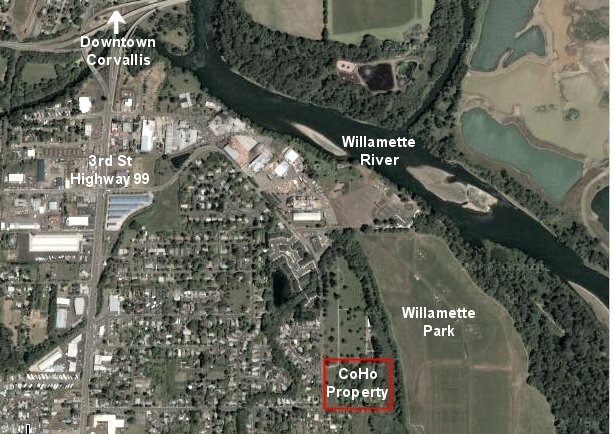 Here is the 6.8 acre CoHo site from multiple perspectives. There are no plans to expand beyond the current buildings. 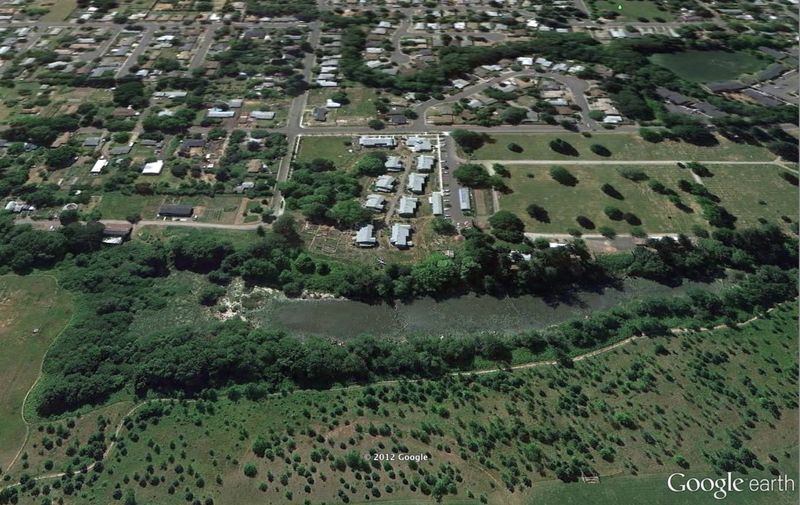 An aerial shot shows CoHo in southtown Corvallis close to the Willamette River. This shot is taken from the east. 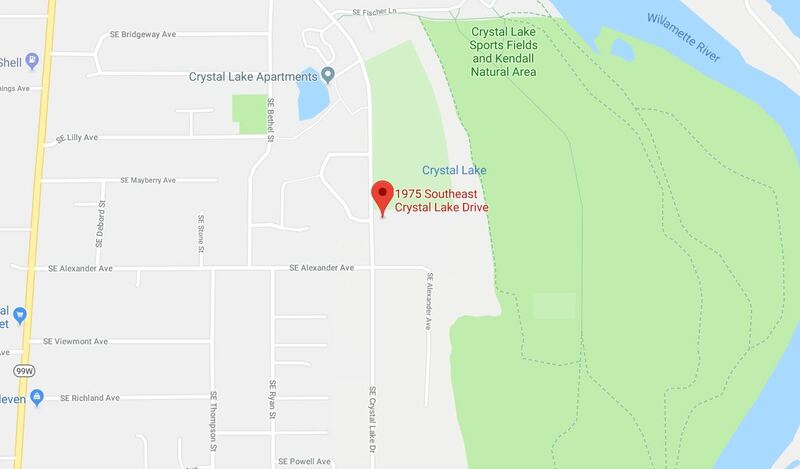 Crystal Lake is east of CoHo and buffers our property from Willamette Park. A cemetery lies to the north. 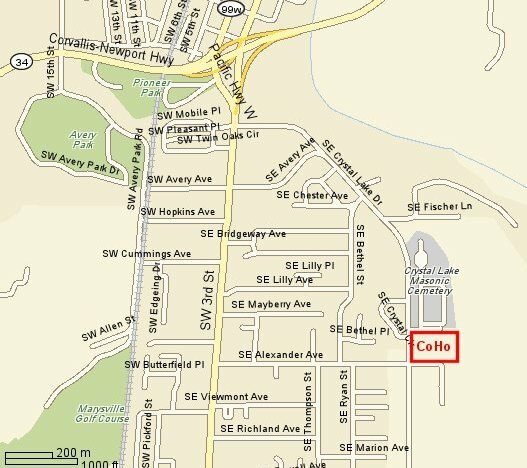 CoHo is on the northeast corner of Crystal Lake Drive and Alexander. 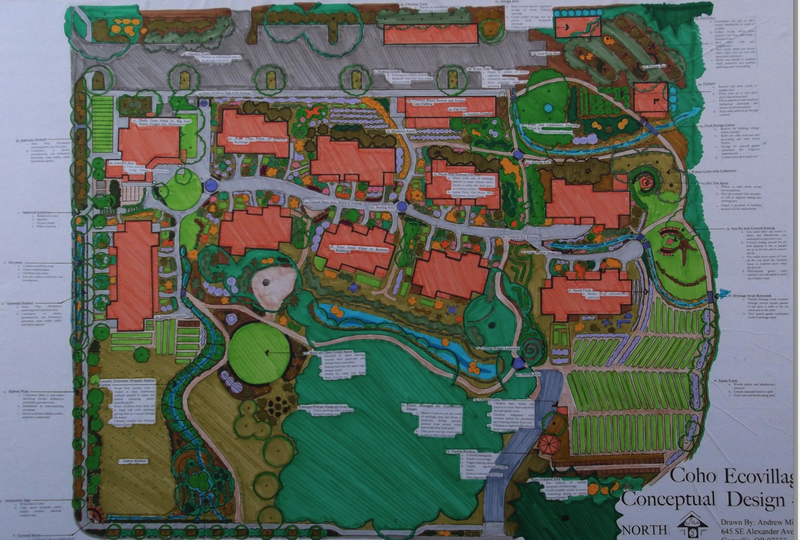 A permaculture conceptual drawing done in 2013 as part of our Land Use Vision highlights options for potential future projects.